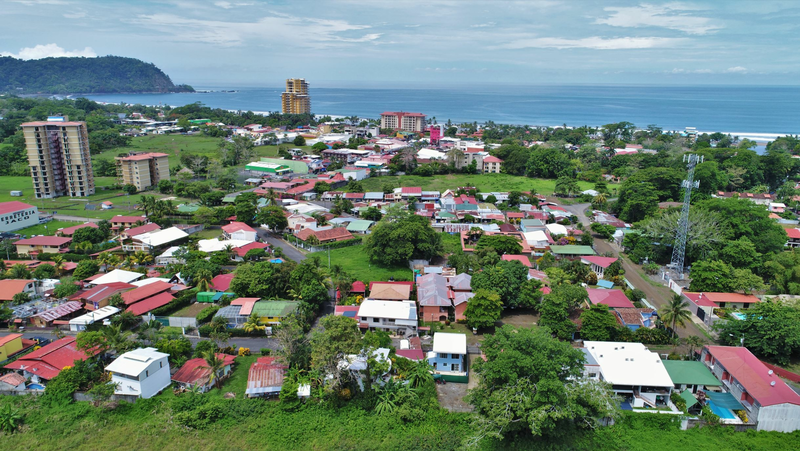 Costa Montana Real Estate Properties for Sale in Costa Rica! Is Costa Montana the right expat community for you? Costa Montana is a gated community located in Tarcoles, Costa Rica. The development is on a 255 acre property with the Tarcolitos River on the south and a natural bluff on the north, providing for a very private and secluded community. Costa Montana has houses and lots for sale and the community offers breathtaking prime ocean, mountain and river views. The lots are ready to build 1.25 acre estate size home sites. The houses vary in architectural style and size. The property’s infrastructure is complete with water and electricity to each home site. This is a private gated community with guarded entrance and 24 hour security. There is high speed internet and cable and an on- site multi- purpose clubhouse with swimming pool. The development has an active home owners association. The REMAX Oceanside office has several properties for sale in Costa Montana. Feel free to contact any of the agents if you are interested. Nearby Costa Montana is one of Costa Rica’s National Parks Carara. Here you can hike through the tropical forest and spot animals. National Park Carara is well visited by bird watchers, it has one of the largest populations of wild Scarlet Macaws in the country. Another National Park that is located in the Central Pacific Coast area is Manuel Antonio. Costa Montana is only minutes from the ocean and nearby is an abundance of outdoor activities such as sport fishing, surfing, canopy tours, water rafting, kayaking and more. Costa Montana is 15 minutes from Los Sueños Resort where you find a world class marina, golf course, spa, casino and several fine dining options. Just 20 minutes away from Costa Montana is Jaco Beach. This beach town has all the amenities you need. There are tons of shops, supermarkets, banks, medical services and tour operators. There is plenty of nightlife in Jaco and many restaurants and bars. Costa Montana is only an hour drive from Costa Rica’s international airport.